After making so many O and other scale buildings and accessories. I love passing on tips and tricks to all you modelers out there. In the next few weeks between the Bond's Funeral Home tutorial and other posts. I will be doing a helpful tutorial here on the J&C blogs. 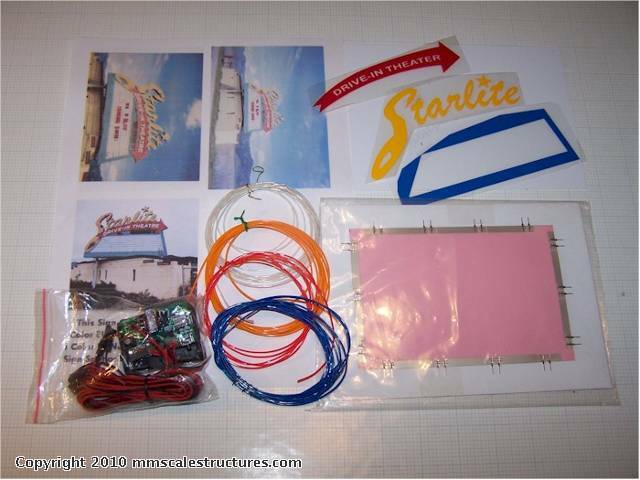 It will be on the making of the Roadside Neon Sign for the Starlite Drive-In Theatre project. It will show everything from planning to finish. I know there are so many really fantastic commercially available EL "a.k.a. 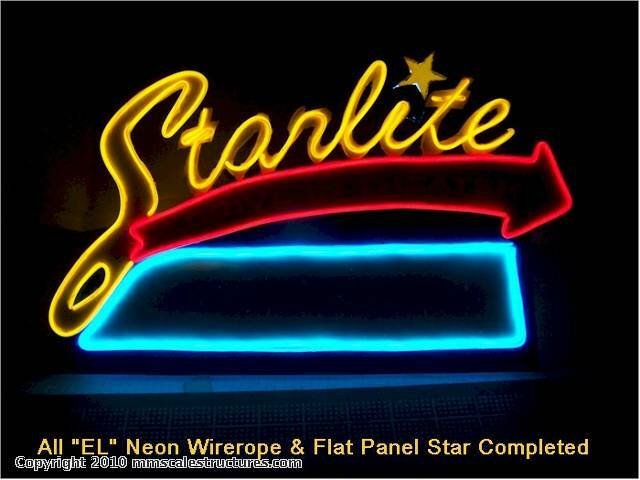 electroluminescent" signs that can be obtained on the market. But sometimes you want something different, personal or prototypical for your build. This future tutorial will show you how. 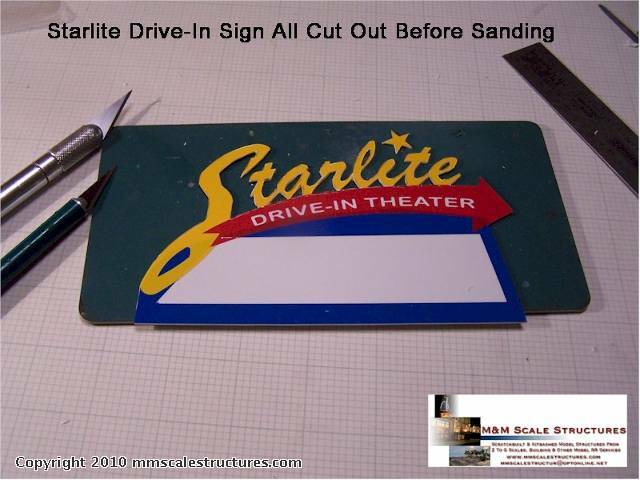 And the best thing it will give you the infomation and directions to help you make a custom sign yourself even if you don't want to build this particular sign . 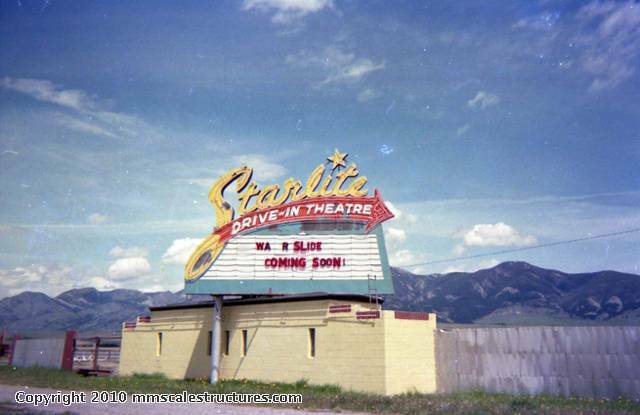 The sign is based on the one that was for the Starlite Drive-In Theatre (Now Closed) in Bozeman, MT. It will include a parts list and vendors who carry what you need for it. So I hope you join me on this little project and remember your input is just as valuable ! Wow - really looking forward to this Mark! Thanks!